List of 750 prize bond is available here. You can check prize bond result 750 from here. Here you can check prize bond draw result complete list 750. Prize bond scheme aims is to promote the natives as well as the traders. National Savings of Pakistan organize the draw of 750 prize bond four time in a year. 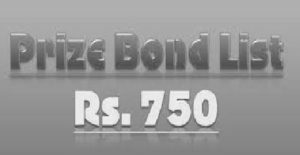 Balloting of 750 rupees prize bond after every three months. 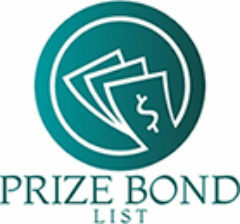 Prize bond 75-0 is the third cheapest bond of all categories. The reward for the winner of the first prize is of worth Rs. 1,500,000. Second prize reward is of Rupees Rs. 500,000. While the third winner get the amount of Rs 9300. You will be very luck if you get first or second prize of 750 rupees prize bond. All previous Result as well as Latest result of 750 prize bond draw is available here. You can check 750 rupees prize bond draw result on the National Saving Website. Check your bond by matching it with the list of prize bond 750 draw result. You can also download as well take the print of result of prize bond 750 draw. Press Ctrl+P in order to take the print of full List of 750 prize bond result.